Sunrise to 11 p.m. when activities are scheduled on the field. When school is in session, the track and field are not available to the community until the conclusion of school activities. 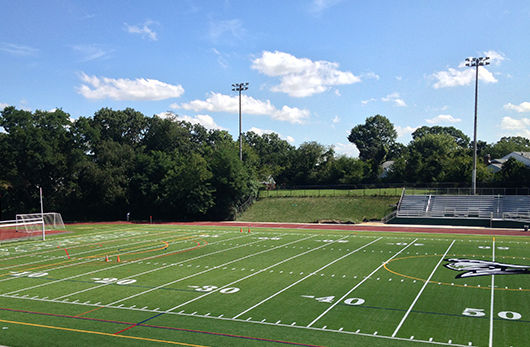 Located at Wakefield High School, this park features a lighted rectangular synthetic grass field (permit takes priority), soccer goals, goose neck football goals, lacrosse goals, a concession stand, a press box, portable restrooms, bleachers and a regulation track that goes around field.